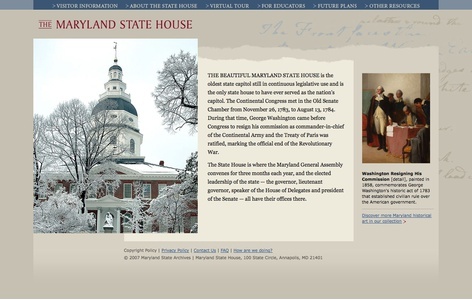 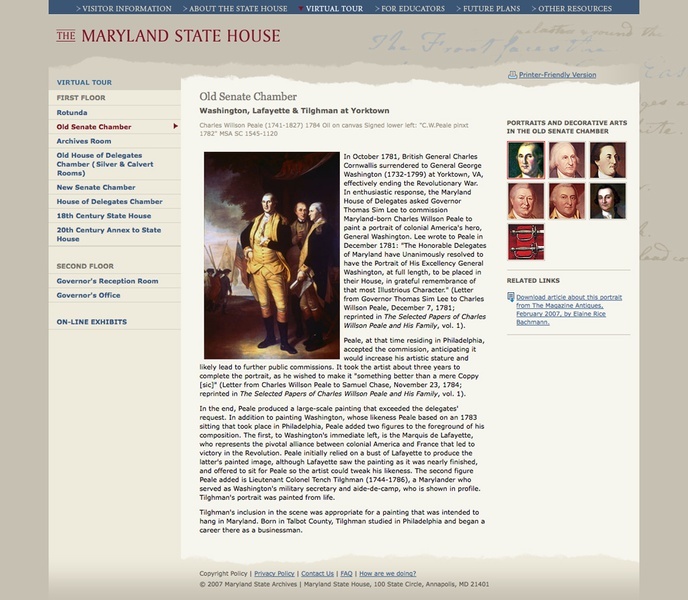 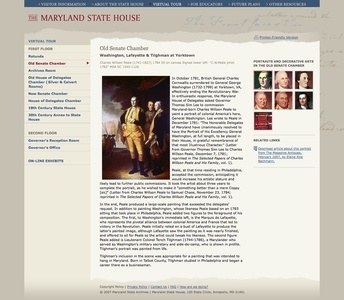 For the Maryland State House, the oldest working state house in the nation, C&G Partners created a new website as part of the firm's master plan for the building. The redesign modernizes the user experience while still reflecting the unique history of the place. 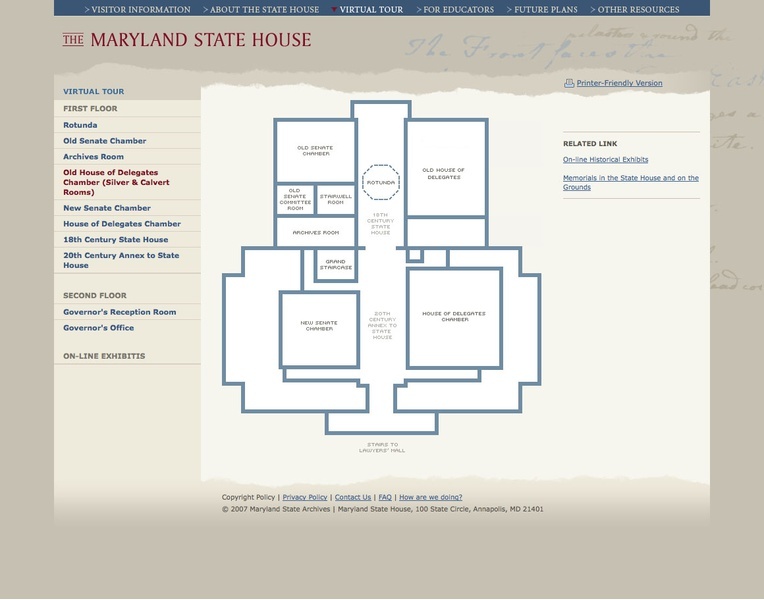 We overhauled the existing editorial structure to give friendlier, more intuitive pathways to information. 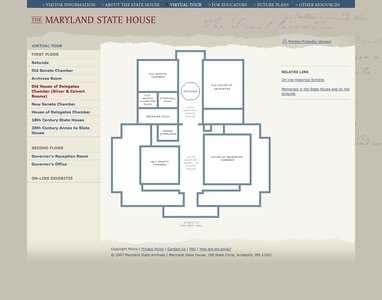 Even the core navigation itself is scalable, to give the State House the power to expand the site in future, not just add new articles.The site includes an extensive virtual tour highlighting significant artifacts, artwork and architecture currently inaccessible to the public. The breadth of the State House history has been organized into understandable stories, with user-friendly timelines and map interfaces. 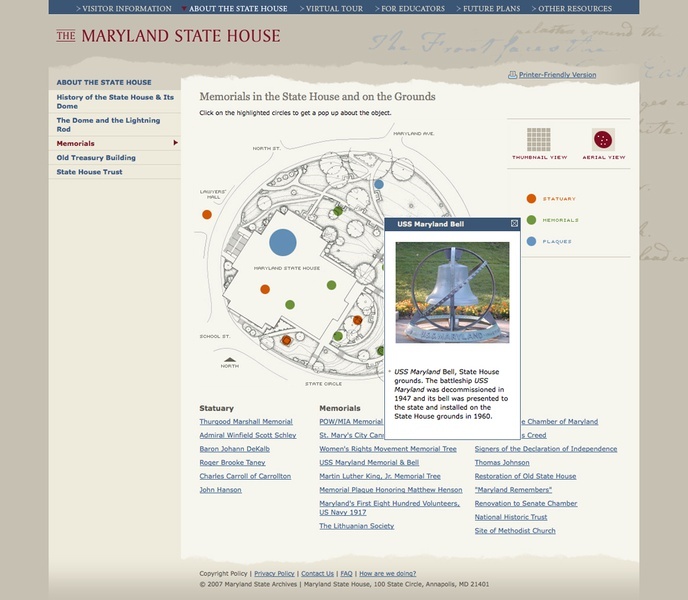 Visitor information, teacher resources, and information about the master plan are now visually prominent, to help the State House generate support for their ongoing evolution.